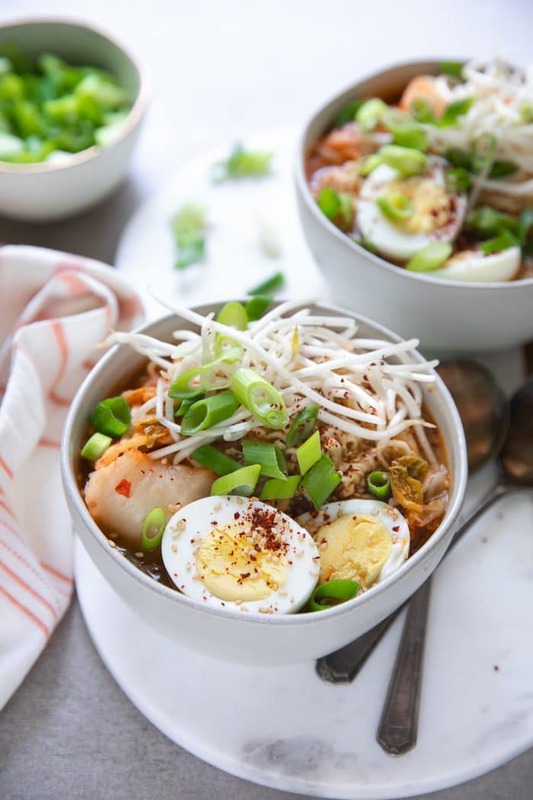 Kimchi Ramen Noodle Soup– an easy and flavorful Korean inspired soup made with ramen noodles, fresh greens, hard-boiled egg and, of course, kimchi! Ready in just 30 minutes, this delicious and cozy Kimchi Noodle Soup will keep you warm and full all winter long. 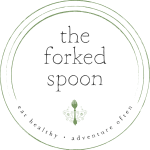 Asian-inspired soups, including this Spicy Thai Pumpkin and Butternut Squash Ramen with Chicken, Healthy Thai Veggie Soup with Spicy Thai Meatballs, and of course, this Easy Kimchi Ramen Soup, are just a few of my favorite noodle soups and loved by my whole family. When someone asked me this afternoon how my weekend went and what I did, I couldn’t remember. I couldn’t recall what I did all day Saturday and all day Sunday. Even after a good five seconds of trying, I couldn’t. So basically, I did nothing. I knew it was raining, which meant crazy town in the house, but the details were unclear. Thankfully, I regained my memory a few minutes later and remembered that most of the weekend was spent running errands and cleaning the house. So, yep. I did nothing. 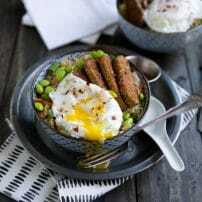 Nothing except make this Kimchi Ramen. Do you like kimchi? 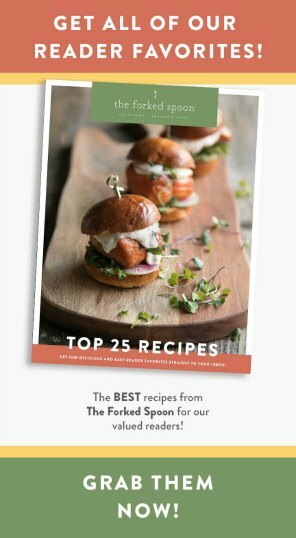 Have you heard of kimchi? Kimchi is a traditional Korean side dish made from salted and fermented vegetables- most notable being cabbage and Korean radishes- with a variety of seasonings. The most popular spices and seasoning used when pickling kimchi include garlic, ginger, scallions, and chili powder. There are more than 200 varieties of kimchi each made with their own unique set of vegetables and seasoning. Baechu Kimchi– kimchi made with Napa cabbage. The most popular kimchi you will find in the market in the US, hands down. KKakdugi Kimchi– kimchi made with radish. Basically the same thing as Baechu Kimchi, but with cubed radish. Yeolmu Kimchi (Young Water Radish Kimchi)- made with the leafy green parts of the radish, this kimchi is especially popular in the hot and humid summer months in Korea. Nabak Kimchi– aka water Kimchi or Kimchi made with water. BUT DON’T FORGET THE TOPPINGS! The key to any good Asian-inspired soup is the toppings. The toppings, at least in my world, add life to a soup and make it interesting. Thanks to a variety of toppings even the most delicious soup is made even better. Egg- I chose hard-boiled, but any egg will work. Fresh greens. 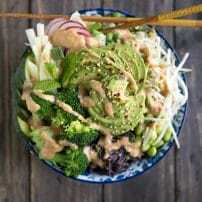 herbs and sprouts are my go-to. Mung bean sprouts. the best. 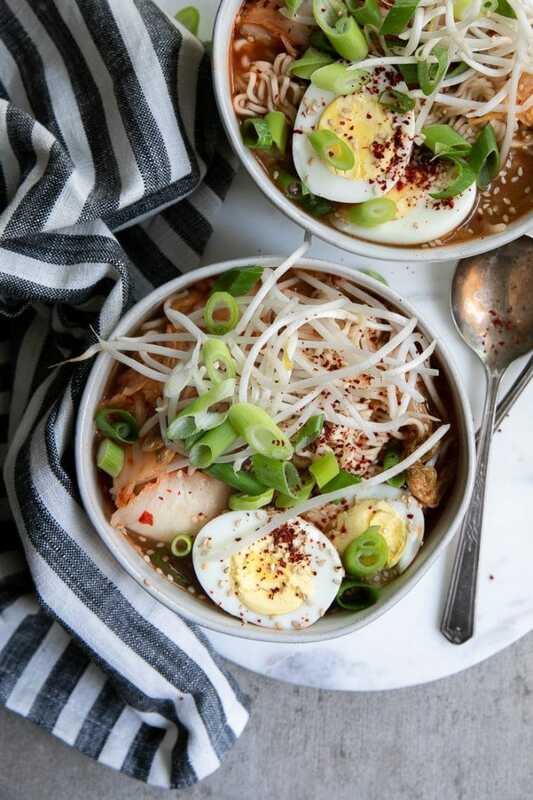 Whether you’re new to kimchi or love it already, this ramen noodle soup is a great way to eat more. 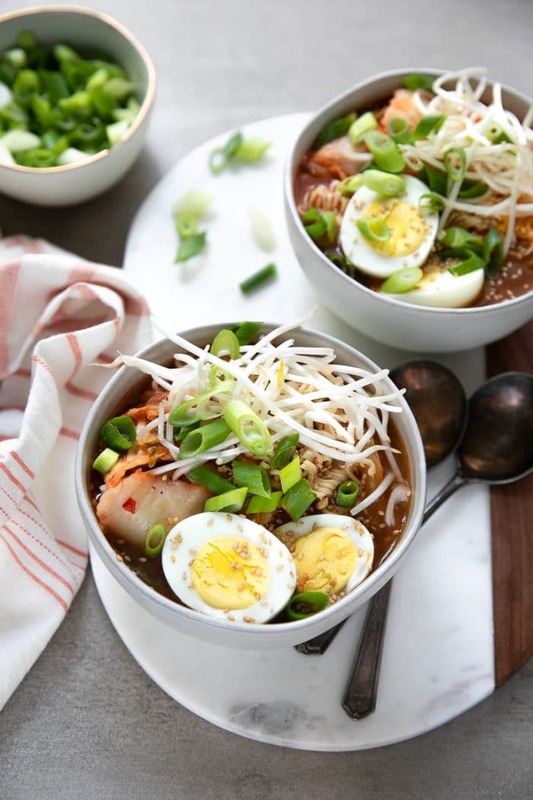 This soup has a rich, flavorful broth filled with noodles, greens, hard-boiled egg and, of course, more kimchi! 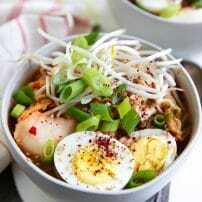 If you try making this Easy Kimchi Ramen Noodle Soup, please leave me a comment and let me know! I always love to hear your thoughts. 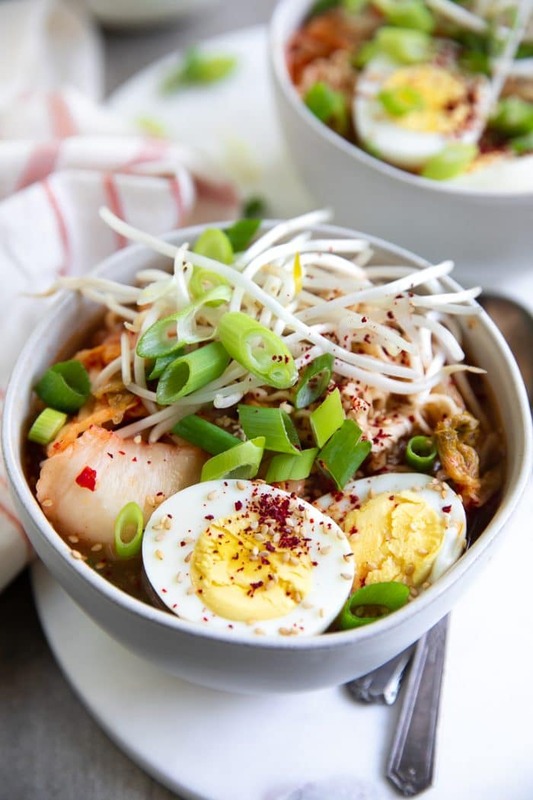 DON’T FORGET TO PIN AND SHARE THIS KIMCHI RAMEN NOODLE SOUP AND ADD IT TO YOUR NEXT WEEKLY MEAL PLAN! Heat olive oil over medium heat in a medium sauce pan. Once hot add fresh ginger and garlic and sauté for approximately 1 minute, stirring constantly to prevent burning. Add rice vinegar, Korean red chili flakes, soy sauce, honey, sesame oil, and vegetable broth (or water) to the pot. Stir well. Increase heat to high, cover, and bring broth to a low boil. Once boiling, reduce heat to medium and season to taste. Add the kimchi and ramen noodles (without the seasoning packets- toss those in the garbage!) to the pot. Continue to cook until the noodles are just cooked. Remove from heat and divide soup between desired number of bowls. 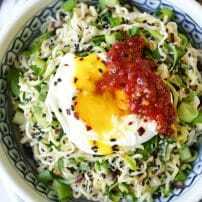 Garnish with toppings such as mung bean sprouts, additional kimchi, scallions, sesame seeds, hard boiled eggs and microgreens.